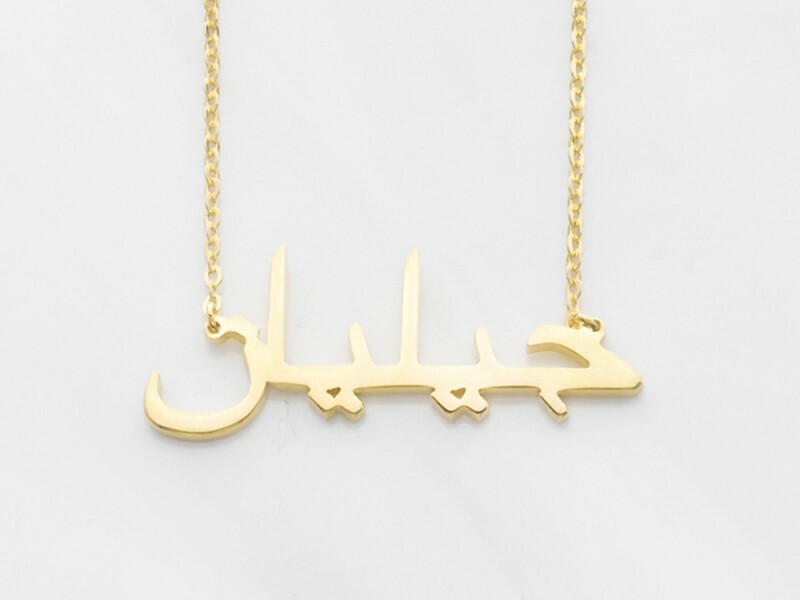 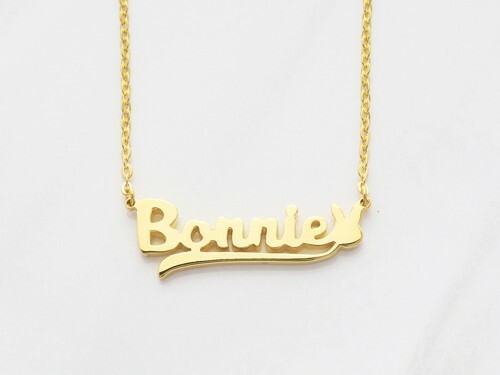 Show off your name in a unique way with this stunningArabic name necklace whether you have an actual Arabic name or not. 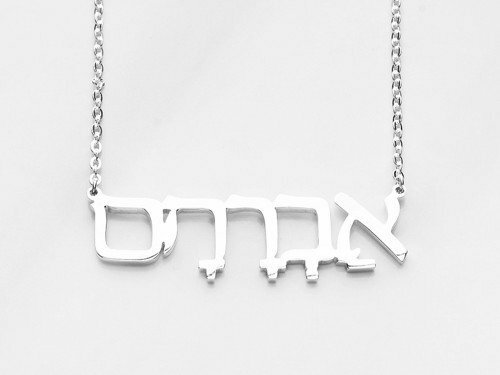 Made with finest sterling silver with 18K yellow and rose plate options, this custom Arabic name necklace is a wonderful way to pay tribute to your heritage. 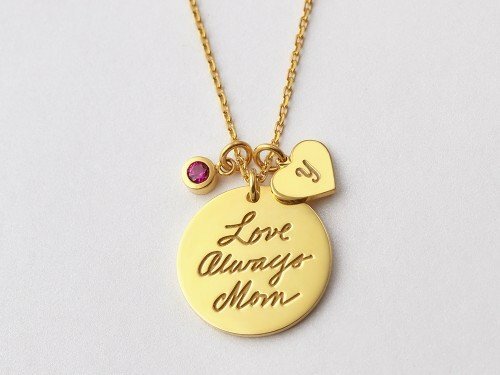 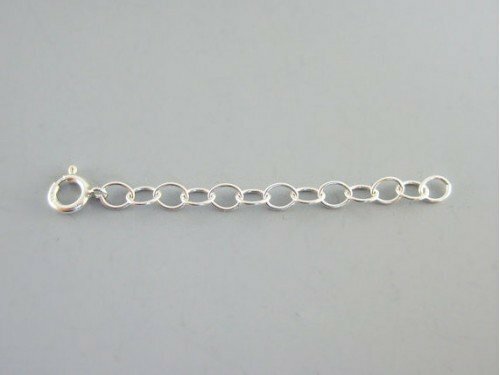 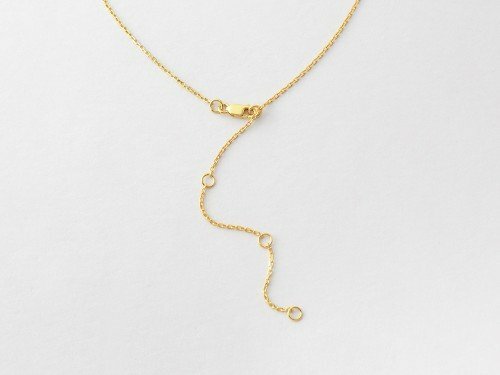 This lovely necklace makes a great surprise gift for birthday or graduation. 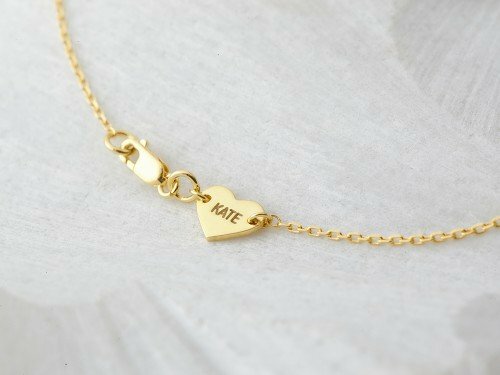 - You could use this link to translate your name into Arabic. 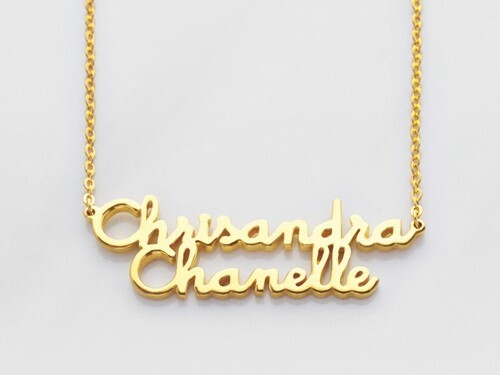 Your name will appear exactly the way it is translated.